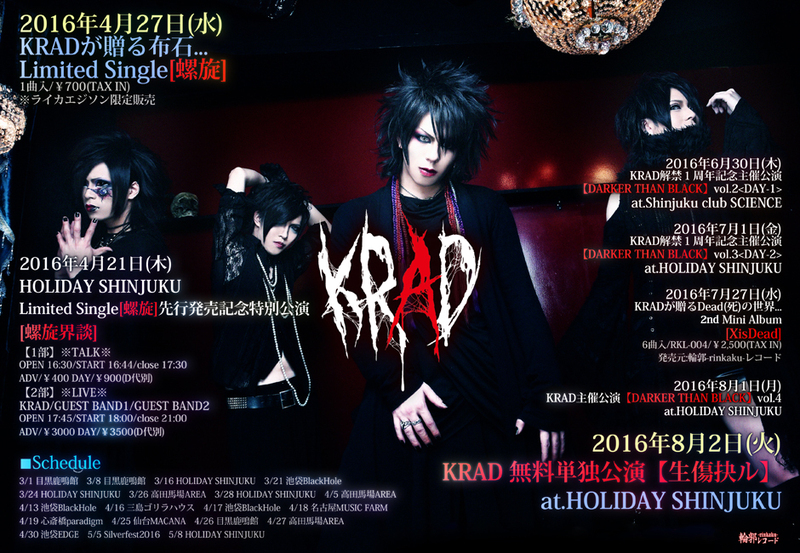 KRAD's 2nd Mini-Album "XisDead" Release | VKH Press – J-Rock & Visual Kei Coverage Worldwide! Put this on your list for July 2016 releases to listen to! KRAD's 2nd mini-album XisDead will be out on July 27th for 2500 yen! It comes with 6 tracks. Don't forget to follow the band's official twitter if you don't want to miss any details about their upcoming CD!